What will 2014 be for you? The start of a new year often makes us think about what we want to do and accomplish in the year ahead. It’s a great time to set goals and resolutions. And one of the best ways to be sure you can accomplish your goals is to think about what you want this year to be for you. So what are you going to do? When we practice mindfulness, we learn to notice thoughts without getting caught up by their content. When we learn to sit with pain or discomfort, we are practicing letting go. Let this year, be the year you let go of your fears, the past and anything else that has held you back from accomplishing your goals and dreams. Learning to let go can be an act of release and healing. By letting go of the past, you free yourself to focus on where you are now. Think about what you would like to accomplish. Maybe you want to visit a new country, go back to school, or learn to dance. Whatever you want to accomplish, this is your year to do it. There’s no better time than right now to turn your dreams into reality. Dream big! 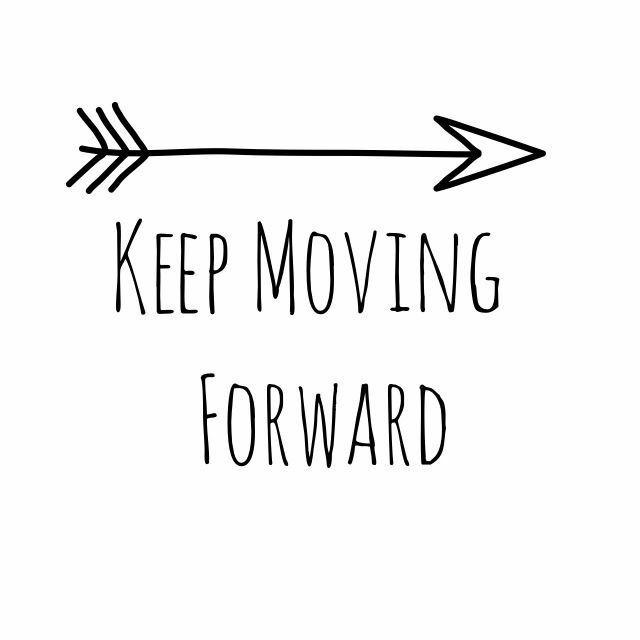 Whatever else you do this year, it’s important to keep moving forward. 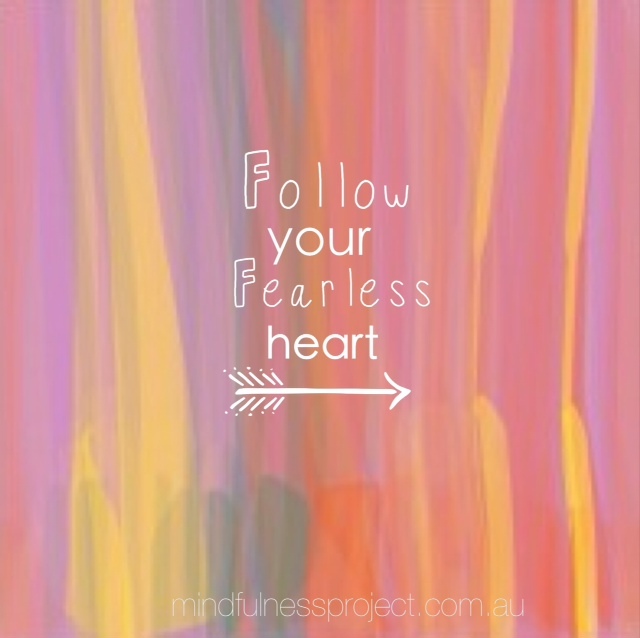 One of my favourite meditation teachers, Pema Chodron talks about moving forward and opening our hearts and minds to life. A new year brings lots of promise and hope, and a new chance to live authentically, happy and content. You can make 2014 your best year yet. We always decorate a real tree, I love the festive smell throughout the house. We go to the Christmas tree farm down the road and choose our very own tree and play Christmas music and hang decorations with many memories. I love this time to bake and decorate and celebrate. We made these paper lanterns and fold paper doilies into little snow angels and string them from the ceiling. These carolers are hand knitted with much love. This year, our eldest daughter is graduating from primary school. When our youngest son went to kinder, I cried. I cried when he finished kinder and I cried when he started school. Its funny as I am feeling super happy and excited for Bella. She has had a busy year as school captain and has done so with confidence and grace and she is really looking forward to high school. Bella is an amazing, fabulous person, I feel truly inspired by her and very blessed to be her mum. One of my favourite Christmas traditions is to watch carols by candlelight on Christmas Eve, eat a seafood feast and prepare food for the next day. We also open a present each, always a new Christmas outfit. What do you most enjoy about Christmas? A few weeks ago, I wrote about my Aunty's death and my concern's for dad. What a relief we now have dad settling into his new home. He is living where my Aunty Joan lived for more than twenty years. Dad said that it already feels like home, and "Why would I want to be anywhere else". I have taken dad to the cafe there a few times, and what a hub of activity! Already we have met people who knew Aunty Joan. We spoke to a man who lived a few doors down from her for 10 years. To hear him talk about her, their friendship and his admiration for her was beautiful. We were brought to tears, seeing & feeling her memory kept alive in the faces of others. I realise that these are the moments to cherish. Writing this made me think of the song 'A World of Our Own' by The Seekers. We used to see dad every second weekend and on the way back to our mum's house, we would belt out tunes from The Seekers & The Carpenters. I have mixed emotions when I reflect on those times (a story for another day) but we did love belting out those classic tunes. First mindful retreat day at kumbada studio complete — check. The day started out overcast with showers, casting a shadow on my plans for lots of outdoor time during the day. My mind started doing its time-travelling thing, projecting into the future, trying to figure out how to change it up and going off on all sorts of possible scenario tangents. As I arrived on top of the mountain, I sat in meditation for a short time at the Dandenong Ranges National Park Scenic Lookout. When I opened my eyes, the clouds had parted and the fingers of God shone down from the sky — I took it as a good sign! The day progressed with a few of these bolster yoga poses with someone later declaring a newfound love affair with her bolster cushion. This was followed by lots of meditation exercises, most of which we had practiced so far in the course and a few new ones. Particularly popular was the mountain meditation (my favourite guided meditation). In it, we contemplate as though we become the mountain, embodying qualities of stability, strength and groundedness. We visualise the changing nature of the weather and the seasons… through it all, the mountain just sits. It was a time to reflect on our own emotional storms, inner and outer crises, our thoughts and feelings, which are much like the changing weather beating upon the mountain. Through the stillness and insights of our meditation, we realise that we too can come to embody the same steadfast qualities of a mountain through all the changes, the pits and peaks we face. Once the silence had lifted, everyone felt that they had given themselves a very special gift — the gift of time. Time to rejuvenate, with nothing to prove, nowhere to be and time to release all the rushing, the doing and the neglecting of our own experience. "You're off the great places! p.s. The bonus is that all participants in the 8 week Mindfulness Based Stress Reduction (MBSR) course may attend future 'Days of Mindfulness' for free. A great way to connect and support our ongoing mindfulness practice. There are a lot of things that I want. I want my kids to help out more around the house, to always be respectful and look after each other. I want more time away, more holidays, more R & R, more pampering. I want a maid, a cook and a gardener! Alas, we cannot have it all our own way. We try harder and harder to get more of what we don't have and push away what we don't want. Life often throws us curve balls. When we are under pressure, how will we meet these challenges? When we have the impulse to yell at the kids, our spouses, our coworkers OR to simply eat our fill of cookies, let's take the Cookie's Monster's lead as he learns to #controlmeself with mindfulness. The poster-child for those needing to master self-regulation skills, he is super cute and funny and with almost a million hits on YouTube, he's onto something here. (to the song 'I love it' by Icona Pop). Need to just calm down, me need to stop and think. Me need control me self, yeah that's the way to live. Me can take deep breaths, me can self-regulate! My aunty passed away recently. She was an amazing example of positivity, strength and kindness, and though she’s not here, her very memory continues to inspire me every day. My dad and her were inseparable all their lives, right up to the last moments, he in his late 70’s, she in her late 80’s. When they were younger, she left school just to look after her younger siblings. This continued well into their adult years; she never really stopped looking after my dad. But now that she’s gone, my dad is not well. I feel like since she passed away he’s been lost, he’s becoming confused and his memory is beginning to fail. I have heard that it can happen suddenly, rapidly. Seeing this happen to him makes me feel sad. While there have been highs and lows, dad has always been a wise influence in my life. I asked him years ago how he felt about getting older. He had said that when the time comes, he would be ready to walk into the sunset. There is some comfort in knowing that he isn't afraid and that he would be ‘ready’ but it is still of course very difficult to see him like this. We are looking at aged care facilities at the moment as he is now unable to look after himself alone. I have shed many a tear, felt much sadness and heaviness, especially as I write this now. Amid the sadness, there is also love, hope and joy. Joy in that we will find him somewhere where he can really live out the rest of his days. When faced with our own aging and mortality – ours, or that of the people we hold dear - we should be reminded to seize the day, to let go of small irritations and frustrations, to look at what we are holding onto: resentments, blame, shame. It’s the most powerful reality check. I took my daughter Charli to see Cavalia during the week. To say that I was blown away is an understatement... Big hair, Big ponies, Big tricks and Big love. It was a night of magic, inspiration and joy. It also felt like a visual meditation. A deep connection through music, scenery, falling leaves & snow, human and horse. The beauty and love that was so evident in the relationship between the artist riders and the horses was palpable. It was a deeply moving experience. While the artists are working hard (& gracefully, joyfully) and the show is very entertaining, by opening your senses and your heart, giving all your presence and love to the experience, you become a part of it. Charli loves horses and loves riding. She is a naturally balanced, intuitive rider and it is lovely to watch her as she learns to guide, teach and become one with the horse. As much as it is a huge expense, I feel it is an investment in her mental and physical wellbeing. Even at the young age of 9, she has had her own little battle with big emotions. She used to have a tantrum everyday, it got so bad once she head butted the floor! She is super independent , strong willed and resilient. Her relationship with horses has helped her release the energy that used to come out through anger, frustration and physical outbursts. She also practices mindfulness now when she feels strong sensations building in her little body. So we have decided to go see Cavalia again! This time we are upgrading to front row ‘horse lover’ seats to get the chance to see the horses up close. Twice in a life time opportunity – not to be missed. Here in Melbourne until September 1st, then onto Adelaide and Perth. I'm sharing a few more insights into the path that led me to where I am today with Women in Business. You can also see it featured over on the Women in Business website. I had studied Business Management and Arts at Monash University and always found that I had an entrepreneurial spirit. While my children were toddlers, I launched myself into my children’s furniture and home wares design company. I became interested in mindfulness after arriving at a low point in my life, overwhelmed by the stressfulness of living, where I would try (almost) anything to find some measure of stress relief. At the time, I thought I was the only one feeling overwhelmed. Little did I know that I was in company of many, many others. I then started practising mindfulness and meditation, sporadically (and somewhat sceptically) at first. Everything changed for me after I went on my first silent meditation retreat. I had wanted to go on a silent retreat for many years; however I was very nervous about actually doing it. My sister-in-law invited me along to a seven-day silent Buddhist meditation retreat. It was very challenging, even more than I expected. Ultimately, it became a really pivotal point in my life. I had been running from my past and during that week, I finally found what I needed to stop running. After that, I enrolled to study counselling, which had always been a secret passion of mine. I was then lucky enough to quickly gain incredible experience at various addiction recovery centres, doing outreach, one-on-one counselling and teaching recovery groups, including courses in mindfulness- based relapse prevention. Now that my kids are all in school, I have decided to return to my own business focusing on developing the Mindfulness Project. WHAT'S BEEN YOUR GREATEST ACHIEVEMENT TO DATE? The discovery of Mindfulness as a method of regaining control of a life that feels out of control and enjoying and experiencing life as it should be. This discovery and my subsequent training in MBSR is allowing me to pass along this breakthrough to help others and enable them to live joy-filled, healthier and more encouraged lives. The biggest challenge so far is overcoming people’s scepticism. I understand it, because I was once sceptical about mindfulness and meditation myself. People have a lot of questions, which I welcome, because someone once took the time to answer my questions and their answers helped me reach the point of developing my inner strength through mindfulness and meditation. BEST LESSON YOU'VE LEARNED ALONG THE WAY? I ended up spending hundreds of dollars employing someone called a ‘visual communication expert’ who was totally off the mark regarding my vision. I realised along the way that I already knew what I wanted the look and feel of my brand to be. Realising that gave me the courage to go ahead with my ideas. I found a fabulous graphic designer through Etsy to help me bring it to light. It was a big lesson in learning to follow my instincts and understanding that no one knows my vision for my business better than me. A WEBSITE, BOOK OR RESOURCE THAT HAS HELPED YOU IN YOUR BUSINESS OR INSPIRED YOU AND WHY? I’d recommend Mindful Magazine because it encourages, applauds, and shares methods for incorporating mindfulness into everyday life for everyone. WHICH PERSON OR BRAND DO YOU MOST ADMIRE AND WHY? I love their philosophy and brand. I love that the company was founded by a surfer, who got the same ‘surfie buzz’ after a yoga class. My favourite quote from their manifesto reads, “Breathe deeply and appreciate the moment. Living in the moment could be the meaning of life.” Oh, and they also make the comfiest yoga gear. WHAT ADVICE WOULD YOU GIVE SOMEONE STARTING AN INDEPENDENT BUSINESS IN YOUR INDUSTRY? Stay disciplined with your own mindfulness and meditation practice, maintain close connections with a network of colleagues and enjoy yourself! 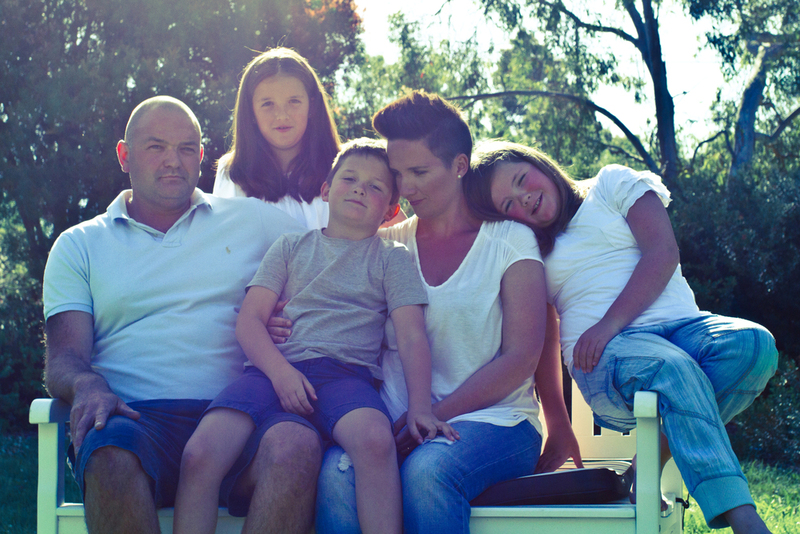 I realised that if I wanted to raise happy, resilient, amazing kids … I had to go first. I have been busy lately. Well, I am often busy, but establishing Mindfulness Project has accelerated my usual busyness. However, busyness doesn’t always equal effectiveness. I can sit at the computer for hours being, for all intents and purposes, very ‘busy’, and achieve very little. I get lost down that never-ending rabbit hole of the Internet. When I’m busy, it’s easy to get muddled, feel overwhelmed, lose track of what really needs to be done. Now I’m realising I have far more clarity, I accomplish more and I'm more effective when I Step Away from the Computer. Sometimes, I find that I achieve more when I am at my least ‘busy’– new ideas come, plans solidify, things I need to do for my work flow quickly and more easily. I realise that letting my mind, body and spirit rest can be just as beneficial as being busy. Going for a walk with my dog to a local café, where I write or make further plans for my work, or sitting on my deck taking in the breathtaking views of the Yarra Valley – this is when the magic happens. I’m shifting gears now from establishing Mindfulness Project to focusing on preparations for the first Mindfulness Based Stress Reduction course starting in a few weeks. I spend many hours preparing and planning for courses and as I move into teaching mode I’m feeling excited and renewed. Mindfulness practice, whilst challenging at times, is truly energising. And I cant wait to share it with all the wonderful people who have signed up to the groups starting very soon. We bought an SLR camera. Now, I cannot. Stop. Taking. Photos. Seriously, I have a picture of my dog in every pose. Also, the kids, the cushions, lamps, books, plants and oh, the sunsets from every possible angle! The list goes on. I’ve only ever had very basic cameras (I’d misplaced the last two!). All the photos I have of the kids over the past few years are what I’ve taken on my iPhone. So having this new ‘toy’ has helped me start a whole new rediscovery of people, happenings and special moments around me. This is how the professional photographer's take selfies right? I love this camera. The pictures are so clear, so real, like they capture moments and preserve them for you, just how you remember them in that instant. Having this camera has also made me stop and notice things more – the bees on the lavender bush, numerous facial expressions, the shades of pink, purple, orange, red of the sun. It’s made me more present to the beauty of every moment, of this moment. Billy set up all of his Skylanders on the kitchen bench, in little Skylander ‘families’. Here’s a sample of the 58 photos he took! So no time to waste. There’s lots more little moments of life to capture. I’m off to picture my kids having brekky. So, they told us we would be writing poetry on my recent trip to Openground’s MBSR Teacher Training. Our facilitator, Dr. Maura Kenny led us through an exercise where we drew squiggles, gave our squiggle a name and then free-associated. We could write, draw, squiggle some more – whatever came freely to mind as we let go and just let be! *One dart: the Buddha explained that pain is like being hit by a dart, suffering is the extra dart we throw at ourselves. The extra dart is the guilt, worry, anxiety, denial of our painful experiences. Billy and Charli have been drawing (& sniffing) all day with their new scented textas from Smiggle. The first few pieces of art were presented freely to me with big hugs and "I love you, mum" and "I’m so happy you’re home". They then decided to add a price tag, and these fine works of art would now cost me 50cents and 90cents respectively. I said to Billy that he was following in our footsteps (as business owners/entrepreneurs). His reply: "I make my own footsteps." 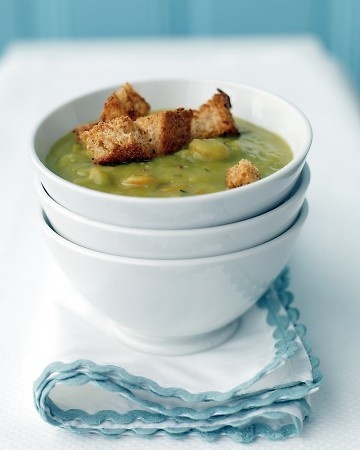 My mouth is watering from the smell of split pea and ham soup in my slow cooker today. An easy recipe thanks to my culinary cousin Mel. all in the slow cooker for 4-6 hours on high or 6-8 (or more) on low. Welcome! This is my first ever attempt at blogging. It’s something I’ve wanted to do for a while now and so … here it is. I’m planning on talking about my practice of mindfulness & meditation, my work and my life as a wife and mother of three tween children and all the chaos, joy, frustration and fun that surrounds it all.